We run processes that help people find a place of consensus. We bring people together with diverse views, backgrounds and perspectives to consider issues and explore solutions. We then support them to find common ground and consensus (which we typically view as 80% agreement). We have seen the emergence of a plethora of online tools designed to raise the voices of individuals, build communities of similar thinkers and ultimately influence the agendas of government. Whether it be Facebook, Twitter, online petitions or others… citizens’ want to have a say and they want governments to respond accordingly. The challenge of course is that the views expressed through these mediums are invariably polarised and often, ill-informed. Undeniably governments and the public sectors that support them are in an invidious position. As not acting in accordance with the weight of community views results in a disenfranchised community and undermines trust between citizens and the government; but acting in accordance can have significant risks or negative consequences if the views of the community aren’t in line with what the weight of scientific evidence / research says is required/ works. Alternatively, the issue may be simpler, without an evidence base that indicates a particular approach but never the less the different views / values in communities result in divisions that need to be reconciled in order to move forward. As a society we need processes that help people to resolve their differences and find the sensible middle ground that they can all live with. In our experience, the responses and solutions which come out of the deliberative processes we run are strongly evidence based. "It was a great way to be exposed to new viewpoints and ideas that you weren't aware you hadn't considered." 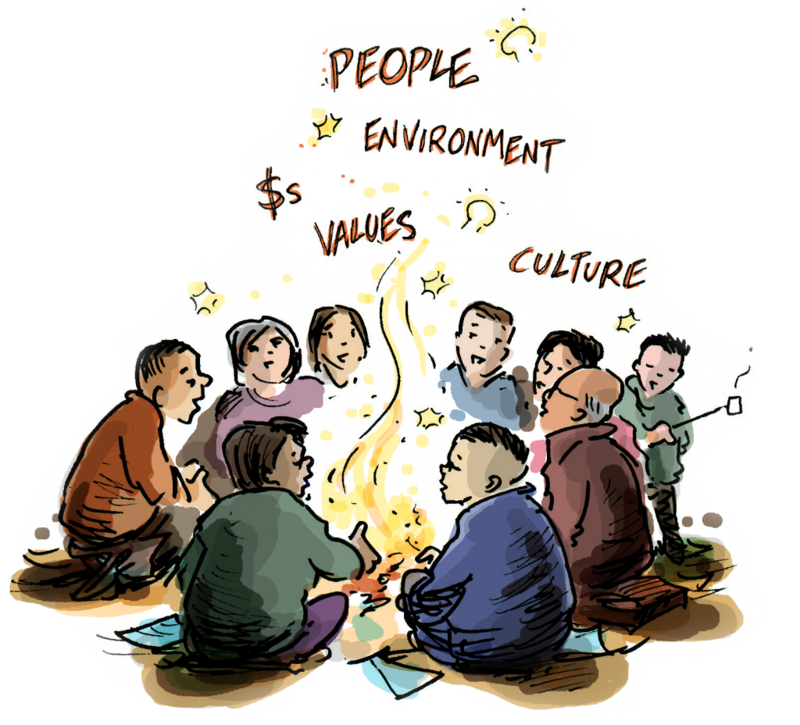 Our processes bring together a cross section of the community and enable them to reconcile those views – identifying what people can ‘live with’. Our work does this by building understanding and ensuring that the decision making is informed with evidence and facts (where relevant)– not just opinions or beliefs.